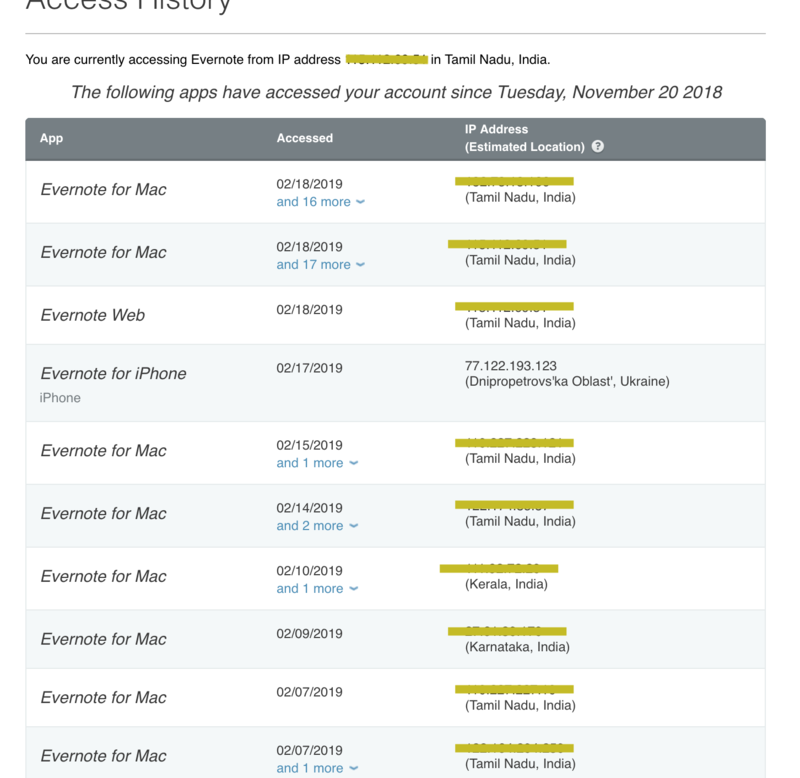 Hi, Its shocking that a new device got added to my evernote devices, an Iphone with an IP being shown up as from Ukraine. Its definitely not me, the access to my account was a breach. My password was confidential, and I don't understand how this breach happened. You have to act on this, I have seen many people reporting this similar security on evernote breach even before. I have changed the passwords, added 2FA and revoked the hacker device. Am attaching the access history, Hoping for a log of what and how ASAP.